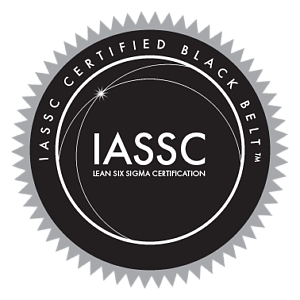 What’s it like to be a Lean Six Sigma Black Belt ? April Robinson, a project manager in the Global M&A Group of a Multi-national Bank, has recently earned her Lean Six Sigma Black Belt. Black Belts take on the leadership role on improvement projects. The best Black Belts typically have a passion for their work, as well as an ability to communicate effectively both up and down the organizational chart. Once they attain the knowledge they need to become a Black Belt, they have the opportunity to be involved in business strategy and policy development (Hoshin Kanri) as well as leading large process improvement projects. They learn to leverage the methodology and tools that make up Lean Six Sigma to align a company’s operations and processes with overall organizational goals. Robinson said that the knowledge he learned at the Black Belt level not only intrigued her, but deeper understanding of the framework, principles and tools proved extremely valuable in her current working role within the M&A group. “I think that each person in life develops an affinity for a handful of certain subjects that really move and inspire them so when you are fortunate enough to come across something that not only peaks your interest, but also helps to make your work and your company more successful, you owe it to yourself to explore it to the fullest”, she said. Simply put, Lean Six Sigma Black Belts are process improvement experts. Black Belts learn the methodology and its analytical tools that make for a more efficient organization and a better product or service for customers. The popularity of Six Sigma Black Belt courses has led to training and certification becoming easier to attain than ever. Training companies such as Lean Six Sigma Training Ltd offer Lean Six Sigma Yellow, Green and Black Belt certification courses in the classroom and also online, making achieving a Black Belt more convenient than ever. In addition to attaining expert-level knowledge in Lean Six Sigma terminology, methodology and tools, Black Belt courses move students beyond the theoretical world of Green Belt into more practical applications of Lean Six Sigma. “While I love theoretical learning and discussion, which is what you get in the Green Belt course, the Black Belt course takes it several gears up and makes you put what you learn throughout the course to the test in your real-life project work” said Robinson, who took his course through Lean Six Sigma Training Ltd.
Robinson said her last project required a lot of coaching of her team members and required her to teach them to take time management seriously and master the concepts and tools of Lean Six Sigma. No methodology has much value if it cannot be applied to real-world situations. While students earning a Lean Six Sigma Black Belt can do projects while in class, it’s another thing to apply its tools and training to challenges in their organization. 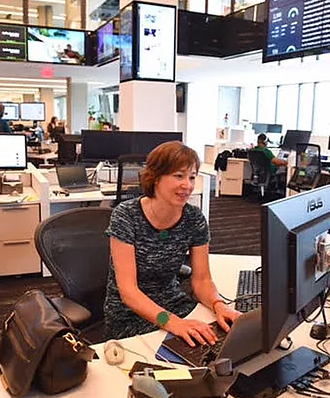 Robinson said she “took ownership” of a situation at her office that involved applying the Lean Six Sigma methodology of DMAIC, which stands for: Define, Measure, Analysis, Improve and Control. The issue at his workplace involved people developing different ways of conducting performance metrics. He took the following steps, which illustrates a real-world application of Lean Six Sigma.